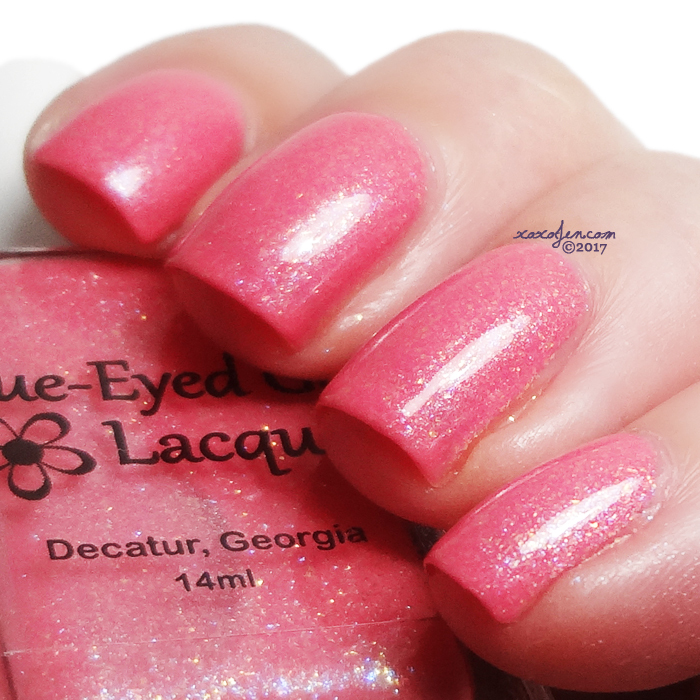 This month's box color is Pink! Pre-order is June 9th - June 16th. Each blogger and brand have done a fantastic job on their collaborations. 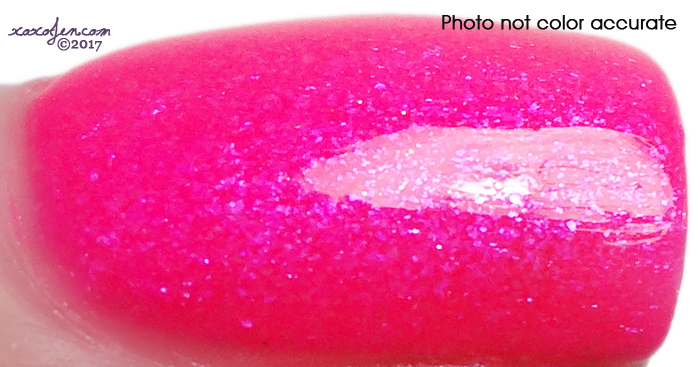 My collaboration with Cupcake Polish is Cyberpink, a hot pink holographic polish packed with super shiny silver flakies. 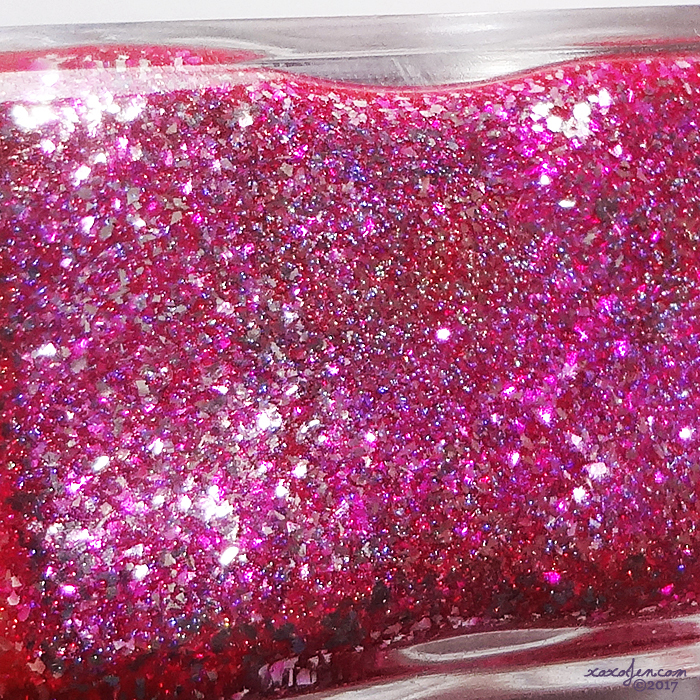 For summertime I wanted a super sparkly, rainbowy holo, bright magenta pink polish and Sara delivered! I couldn't be happier with it! 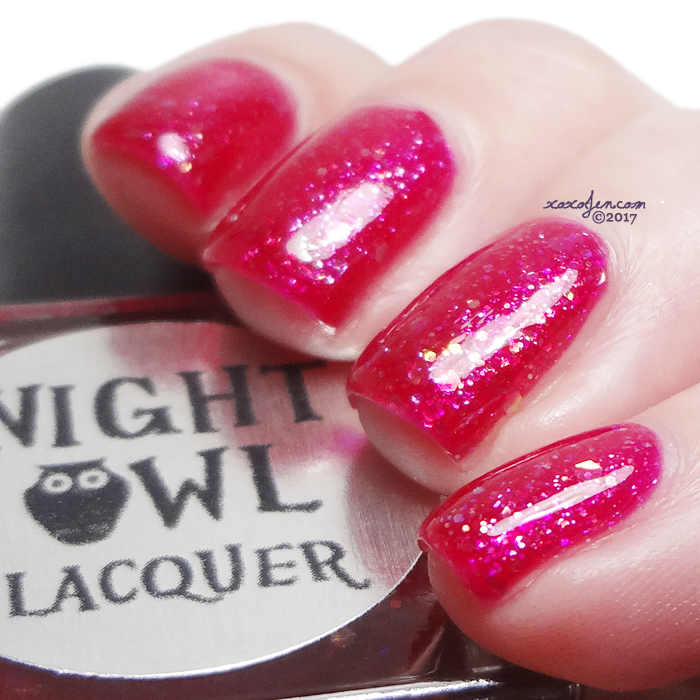 The sparkle, the holo, the pink! Yup, I'm gushing over it and you will too when it's in your hands! I wore two easy coats and topcoat for a glossy sheen. It was smooth as glass after completing my mani but if you paint thin, you may want to beef up the topcoat layer just in case. 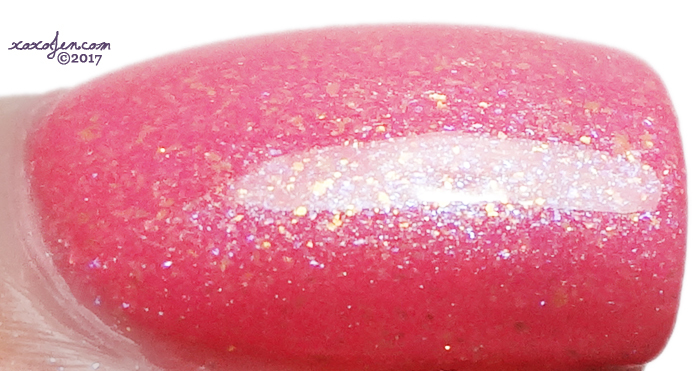 Hiding Dory - a coral pink packed with aqua shimmer, fine turquoise shimmer, and gold microflakies. So shimmery and flashing differently in varying lighting situations. I wore two coats with topcoat. Formula was smooth, no issues to report. 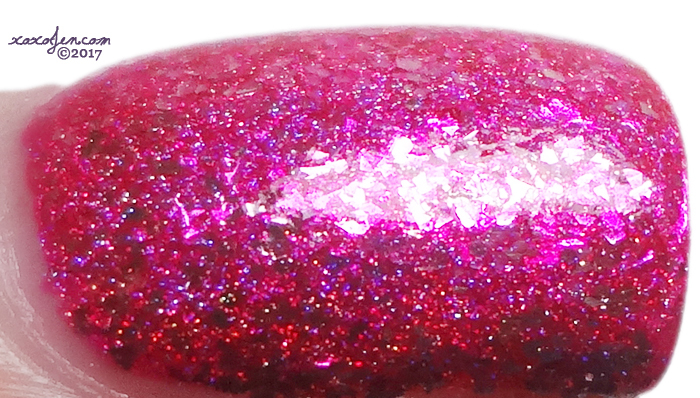 Yes Way Rosé - a wine toned pink with light pink metallic micro flakies, pink crystal micro flakies and various sizes of lime green to gold color shifting iridescent glitters. I love a good jelly and this one was fab. It has depth like candy and sparkle that glistens and flashes in any light. I wore two easy coats and I tend to paint heavy handed, if you use thin coats you may want a third coat. I like the large golden flecks and the crelly-like base, it reminds me of springtime and weddings. I wore two easy coats with topcoat, no issues to report. 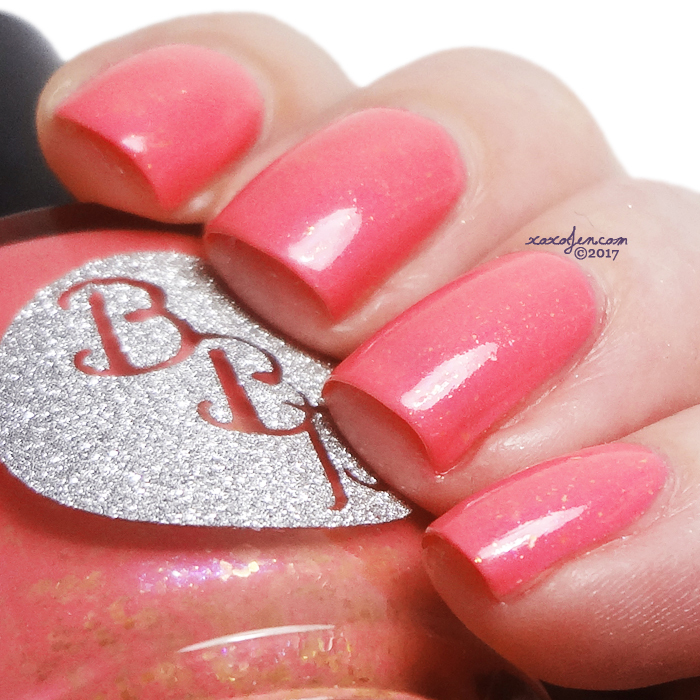 The color of this polish is just like a pink highlighter marker, plus shimmer! I wore two easy coats with topcoat. Bonus nail art! 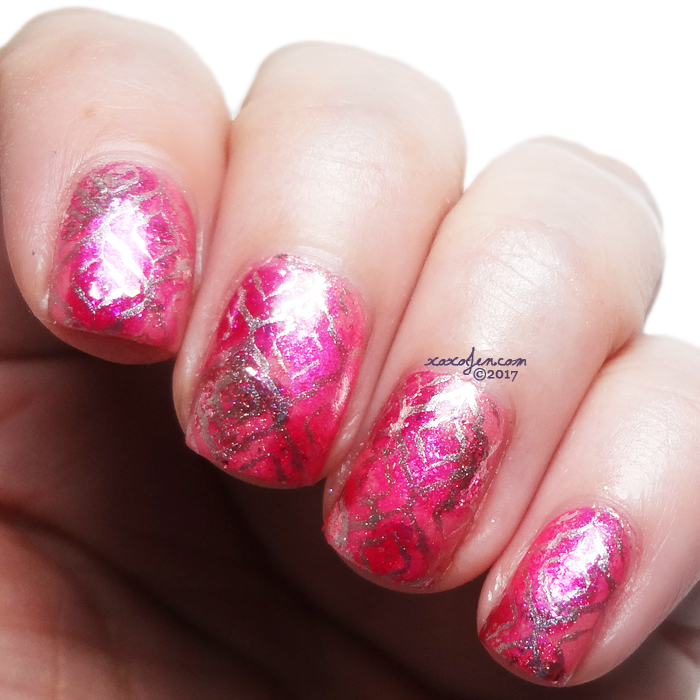 Using all five polishes with the Saran Wrap technique, I created a base and then stamped over it with Jolie Silver Bullet and the quatrefoil design from my custom Vivid Lacquer plate 043. 8. Giveaway runs from June 4th until 11:59 pm EDT June 8th. I hope you've enjoyed the review! Do you have a favorite color? Maybe it'll be next! 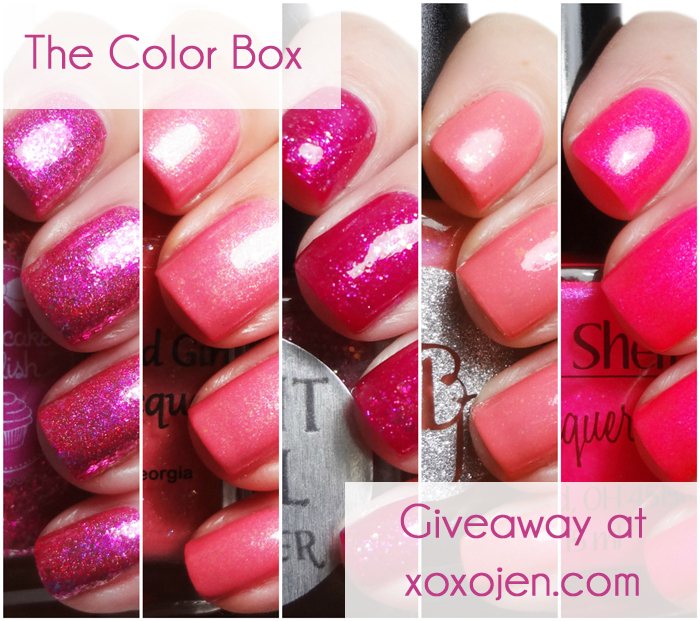 Be sure to join the facebook group to cast your vote for the next Color Box color. The pink box will be available for pre-order June 9th - June 16th. Manna's Mystifying Masterpiece caught my eye. That neon really pops! Some great pink polishes in this box. I love Manna's Mystifying Masterpiece but all are beautiful! Manna's Mystifying Masterpiece is gorgeous. But then again I love all pinks. 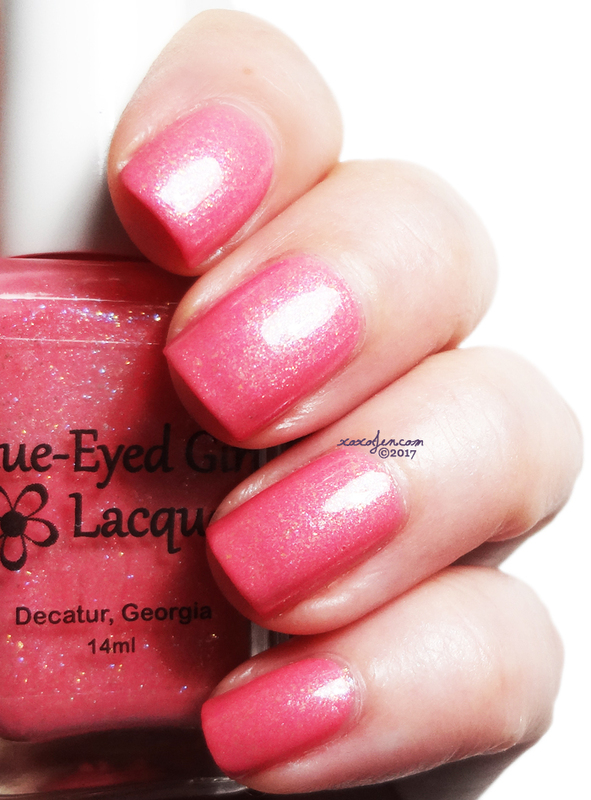 My favorite pink polish is Cupcake'S Berry Good Looking. Looking forward to the pink Color Box.